Weddings, hay rides, sleigh rides and special events. Maple Sauvignon Blanc and Maple Mead kits, how can you go wrong? Local chip wagon in Smiths Falls next to the Garden Market. 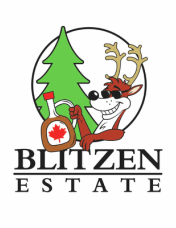 Offering various tasty food items including recipes that use our very own Blitzen Maple Syrup! The OMHC is an affiliated club of the CMHA (Canadian Morgan Horse Association) that covers all of Canada. New and Refurbished computers for sale. Always free diagnostics! ​Many Tasty Treats available right in Smiths Falls! Offering a menu of yummy food options made from all locally sourced, fresh ingredients!